Developing industrial policy and putting it into practice in a rapidly changing landscape is a complex and challenging task. Having used landscaping to establish the priorities for developing national capabilities and competences, roadmapping can help underpin policy development for particular sectors or technologies, and explore cross-sector opportunities for productive collaboration. It does this by identifying the threats and opportunities facing the sector, prioritising those opportunities and developing a clear plan to exploit them. The roadmapping process is also a highly effective way of building consensus among a diverse group of stakeholders and gaining their commitment to an action plan that will deliver long-term competitive advantage. Roadmapping was pioneered by Motorola in the 1970s as a powerful technique for planning its technological capabilities to ensure they met its strategic goals. 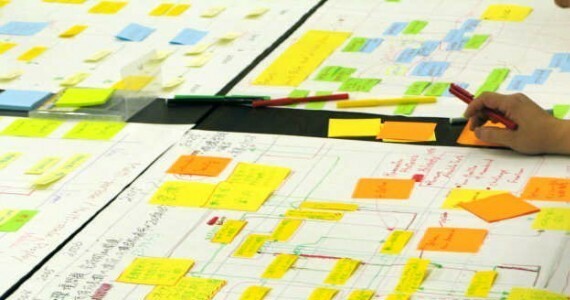 The IfM’s Centre for Technology Management has been researching and extending the application of roadmapping for more than a decade and its techniques have helped more than 250 public and private sector organisations with their strategic and technology innovation planning. It also helps to inform investment in education and skills, business and innovation support and legislation and regulation. Read more about roadmapping at the IfM. In the UK, we have been working with the Department of Business Innovation and Skills, Innovate UK, its various Knowledge Transfer Networks and Special Interest Groups to carry out numerous roadmapping projects looking at key sectors and cross-cutting technologies. Together, these roadmaps now cover a significant proportion of the UK’s technology base. Internationally, we have worked with governments – sometimes in conjunction with local universities – to develop key industry roadmaps. "The structure [IfM ECS] provided stimulated the full engagement of all participants in the discussion and contribution of ideas. As a result, we were able to meet our main objective which was to start building a broad community, sharing ideas and concerns and identifying issues where changes to policy or putting in place supporting structures would help. The team was very effective, enabling progress to be made rapidly."